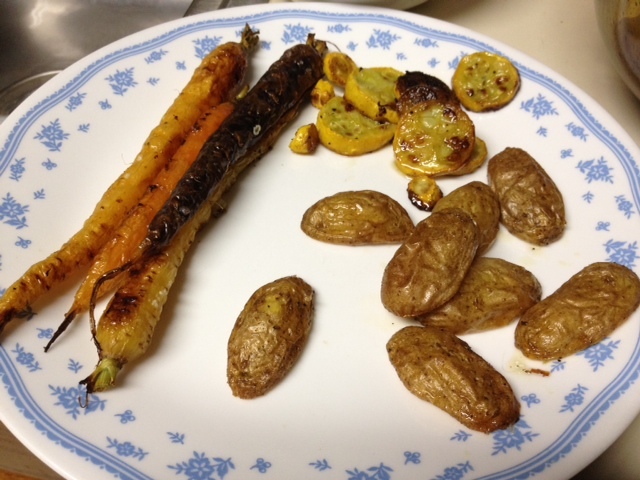 When I got my big CSA box o’veggies this week, I got a bit of a shock. You see, they’d told me I was getting carrots. 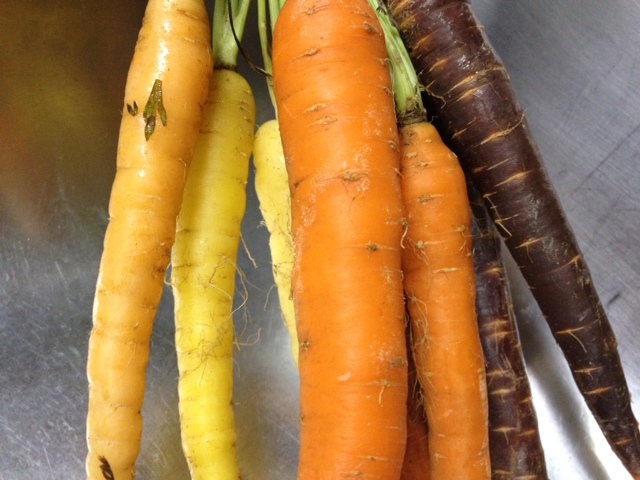 What they didn’t tell me is that I was getting PURPLE carrots! 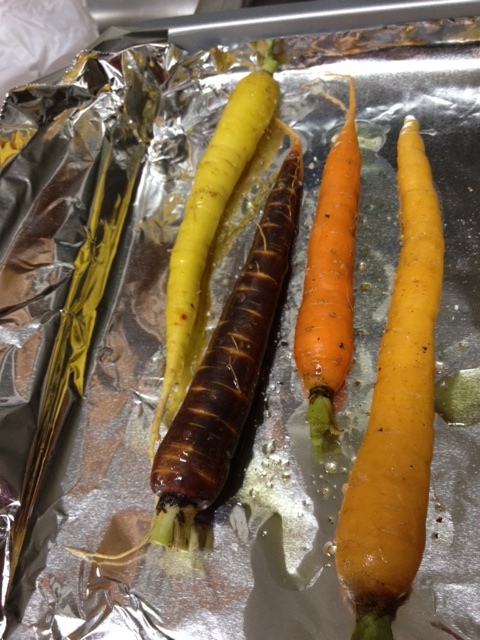 That’s right, purple carrots. 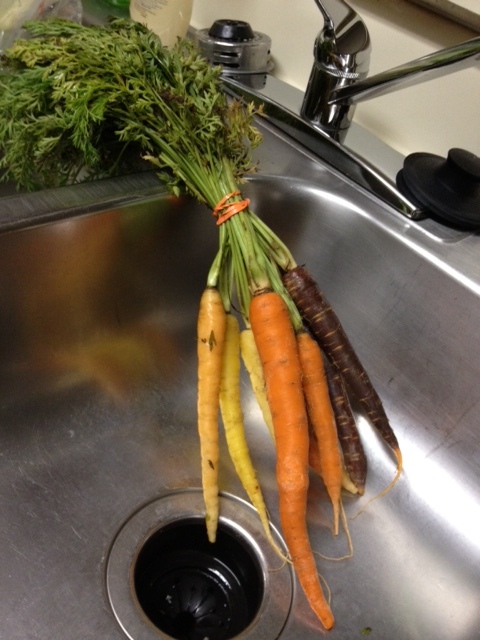 And this farm girl’s going to admit that she’s never seen a purple carrot. 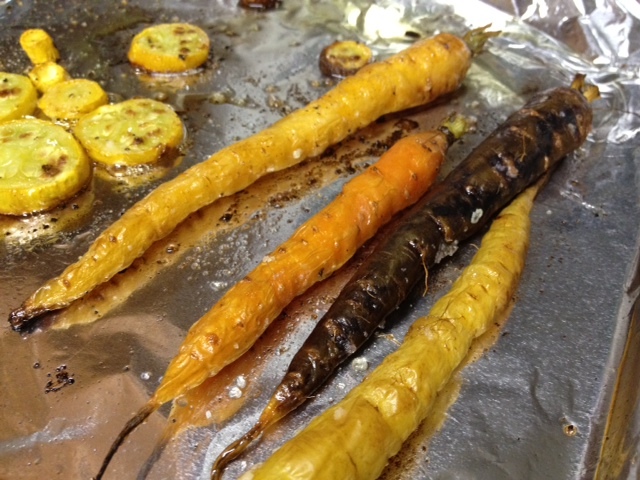 Normally I roast carrots (of the orange variety), but I wanted to see if there was anything earth-shattering I was missing out on. 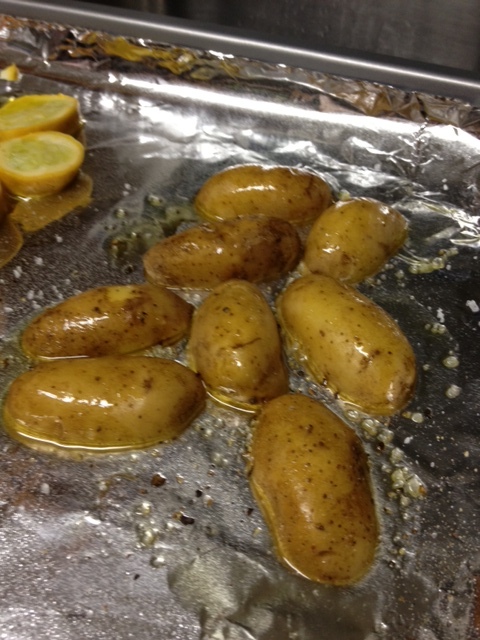 Lots of great ideas on different types of glazes/marinades to roast with, but the consensus was not to get too fancy. 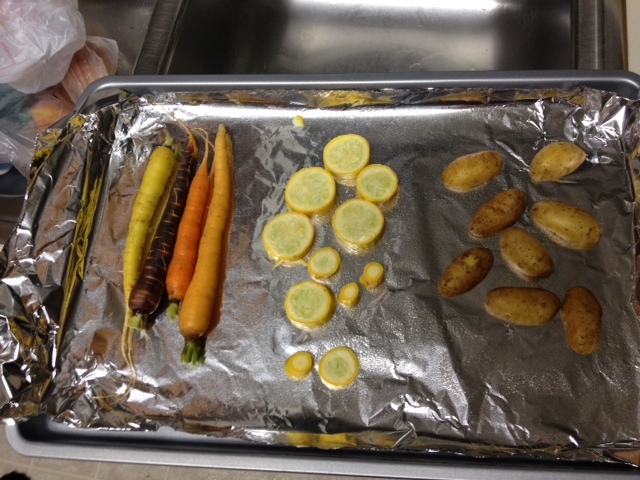 I cut off the tops of the carrots, except the last 1/4 inch of greens. 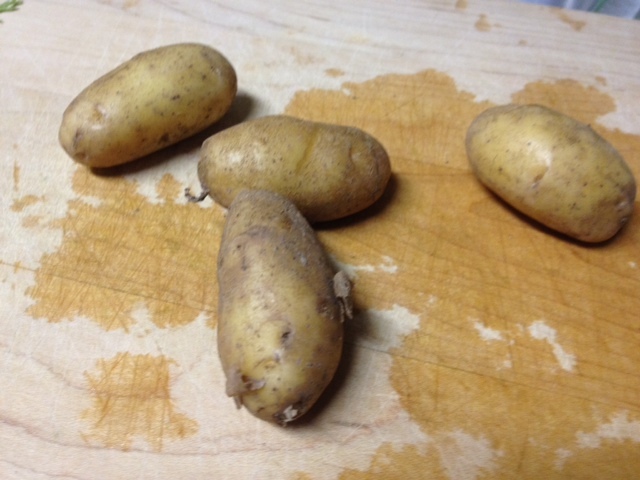 I also got these great fingerling potatoes, complete with dirt and everything. 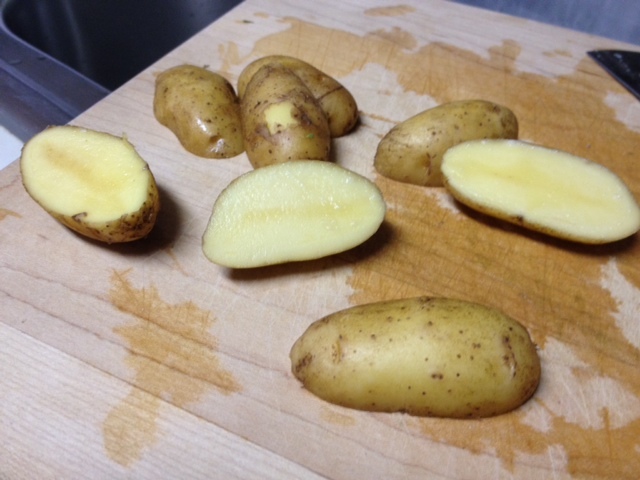 Kept it simple here too, just sliced in half, coated with oil and sea salt. Arranged it all pretty on the sheet. 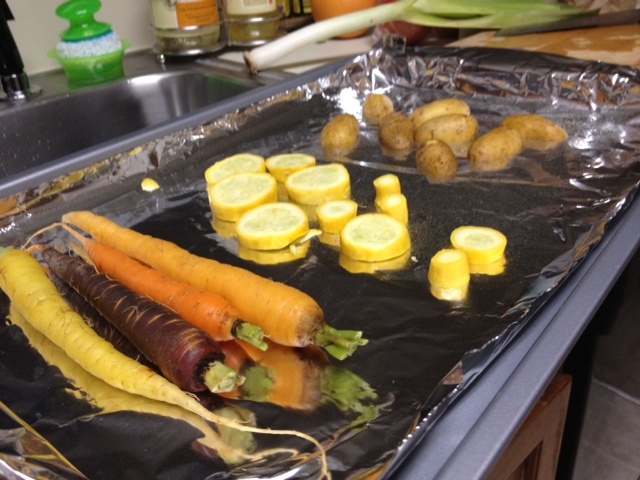 To be safe, I put a little spray oil on the tin foil to make sure the veggies didn’t stick. Poured some olive oil over everything and used my fingers to spread it around evenly. Sprinkle some sea salt all over everything (you can add pepper too). 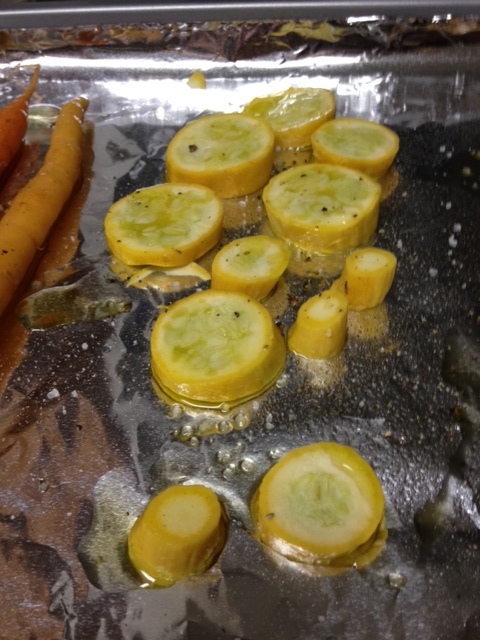 Make sure the squash is cut fairly thick so it doesn’t burn too much. 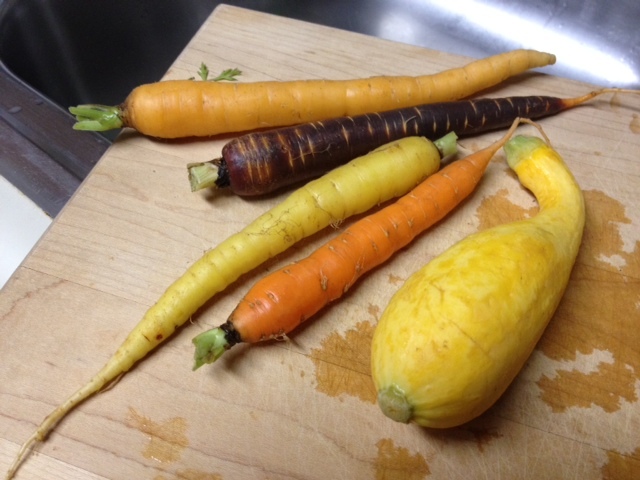 That’s a carrot of a different color! *sigh* Wizard of Oz quotes never get old. I roasted for 15-20 minutes at about 425. 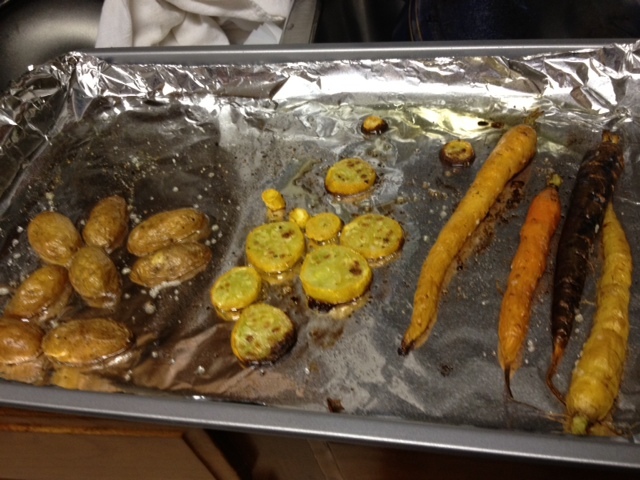 The carrots should have started to shrivel up, looking kind of dehydrated. 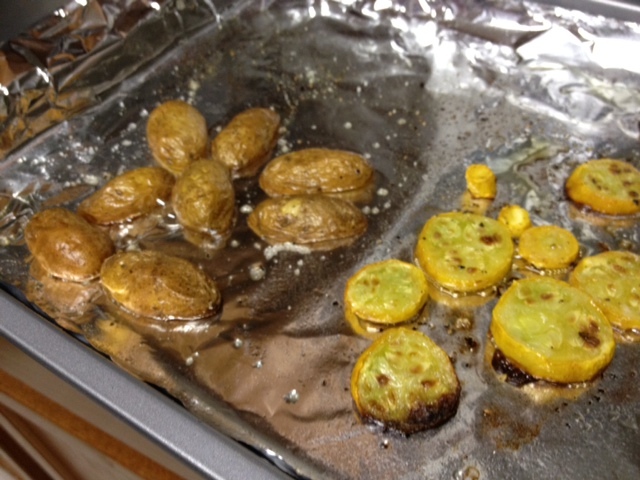 The squash should have a nice crust on it, and the potatoes should have a little crispness to them.